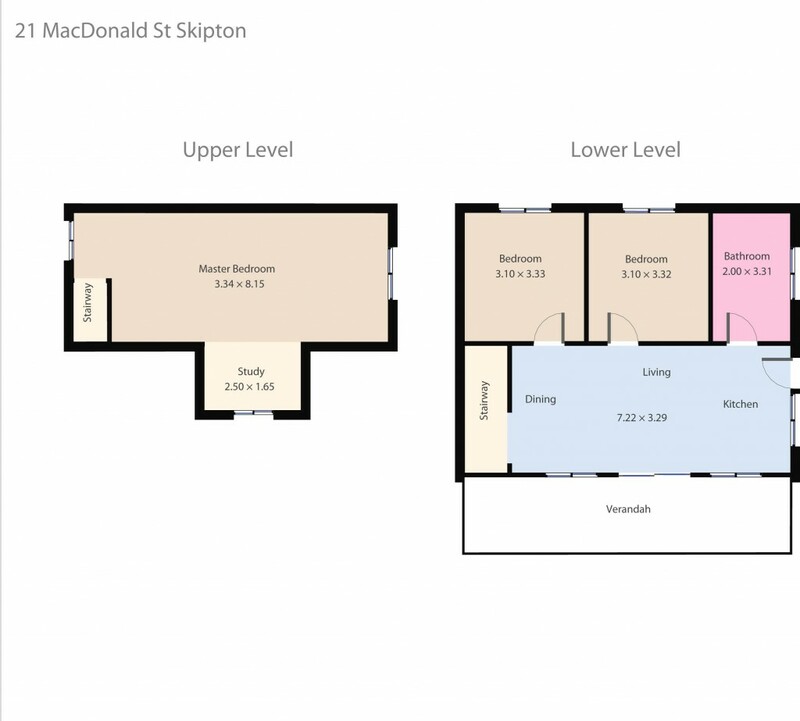 Located close to the popular little township of Skipton approx. 50km from Ballarat is this cute and cosy private home with spectacular views of the local area. Features of the home include a huge upstairs main bedroom with good cupboard space with plenty of extra room for a tv or similar and boasting lovely views. Downstairs there are 2 more bedrooms, open plan meals /living area, simple but user friendly kitchen space and bathroom with freestanding shower and separate bath. The home is warmed by hydronic heating, has a wonderful internal timber set styling and has good water storage. There is a near new garage plus numerous extra quality sheds, including a small mechanics pit ideal for the car enthusiast, handyman or someone looking to secure pets. The land is on approx. 5 cleared and undulating acres ideal for livestock. The fencing is in good condition throughout the property and is completely secured for children or pets around the home itself. A huge bonus of the property is the grazing licence for an additional approx. 5 acres of land for less than $100 per year. This property would make a great hobby farm for someone wanting to get away from the big cities hustle and bustle, do you self a favour today and visit this home as quick as you can.